Former Manchester United midfielder Lee Sharpe believes that Mourinho is the wrong man for the club and can’t see things improving under his stewardship. The Red Devils slumped to a shocking 3-2 defeat against Brighton at The Amex Stadium yesterday, producing an inept performance devoid of any attacking flair or creativity. Romelu Lukaku and Paul Pogba managed to grab consolation goals for United but none of the players could leave the pitch with their heads held high after being totally outplayed on the day. 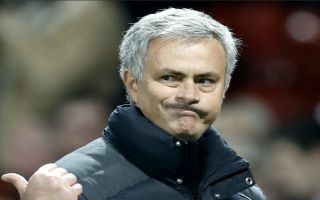 Mourinho’s men managed to pick up three points in their opening game of the new Premier League campaign on August 10th against Leicester City, but they have now fallen behind the frontrunners at this early stage of the season after Manchester City, Chelsea and Tottenham all managed to win their games over the weekend. According to Sharpe, the buck has to stop with the Portuguese coach and if United are to revive past glories then perhaps he is not the right man to lead the club forward. He told The Manchester Evening News: “It’s a big problem. “If ever you see a press conference he looks down and unhappy and negative and I think that feeds through to the team and I think you can see that in the performances. “I don’t think they play on the front foot or with a light step and a happiness. I think they play exactly like he is in his interviews and it’s showing and you can’t win games like that. Supporters will hope that the players can raise their game next Monday at Old Trafford for the visit of Mauricio Pochettino’s free-flowing Spurs side, where anything less than a win would see Mourinho’s team lose further ground in the Premier League title race.